Synopsis: Director/choreographer Bob Fosse tells his own life story as he details the sordid life of Joe Gideon, a womanizing, drug-using choreographer. 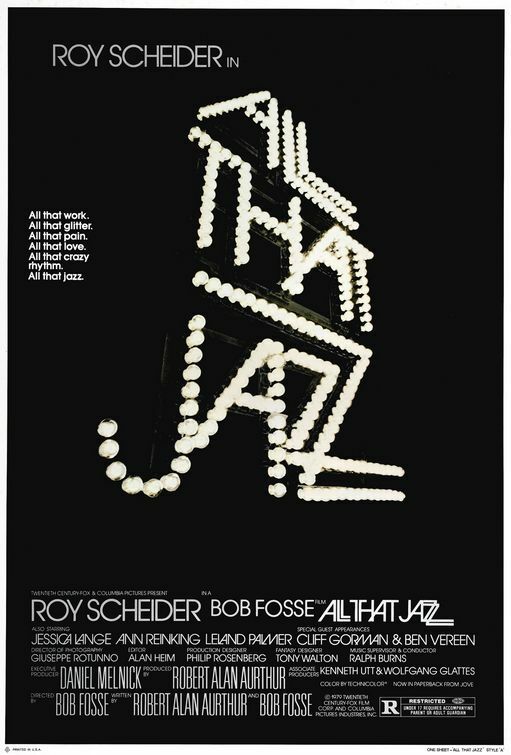 Thoughts: It took me a few viewings to truly “get” Bob Fosse’s non-traditional musical drama that’s really a barely veiled re-telling of his own rise to fame and glory first as a Broadway choreographer and then as an Oscar winning director. Fosse won his Oscar six years prior for Cabaret and was nominated again two years later for Lenny. He nabbed his third and final nomination for All That Jazz and had Kramer vs. Kramer not been such a major force of nature that year, Fosse and the film both would have taken the prize (sorry, Apocalypse Now, it was never going to happen). As good as Best Actor winner Dustin Hoffman was in Kramer vs. Kramer, Roy Scheider (JAWS) delivers a performance without peer as Fosse’s screen alter ego that literally dances himself to death. Though the overall message may be more Grim Reaper than Happy Jazz Hands, it miraculously steers clear of the morbidity it inches ever closer toward. Ending with arguably one of the best finales in any motion picture ever, the film gets better each time I watch it. My Criterion BluRay is arriving any day now and I can’t wait to watch Fosse’s masterpiece again…and again…and again. God, I love this film. Bob Fosse at his audacious best! It took me a few times to get through this one, was so pleased when it all eventually clicked and I throughly enjoyed the experience.